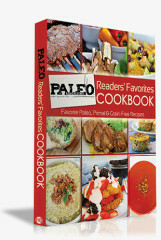 We made this Paleo friendly Lamb Shank recipe for dinner today. The recipe is for two, however I served the Lamb to my wife (Tai-Tai) and kids (Jin-Yi & Xing-Yi) with Garlic Mashed Cauliflower and some left over multi coloured Heirloom Carrots. As the girls are only 4 & 5 years old respectively, they don’t eat as much. With the mash, Heirloom Carrots and a salad to start, which was more than enough for our young family of four. This recipe is so aromatic that you will be salivating as it cooks! Pat lamb shanks dry with paper towels, then sprinkle on both sides with salt and pepper. Heat oil in a Dutch oven over medium-high heat. 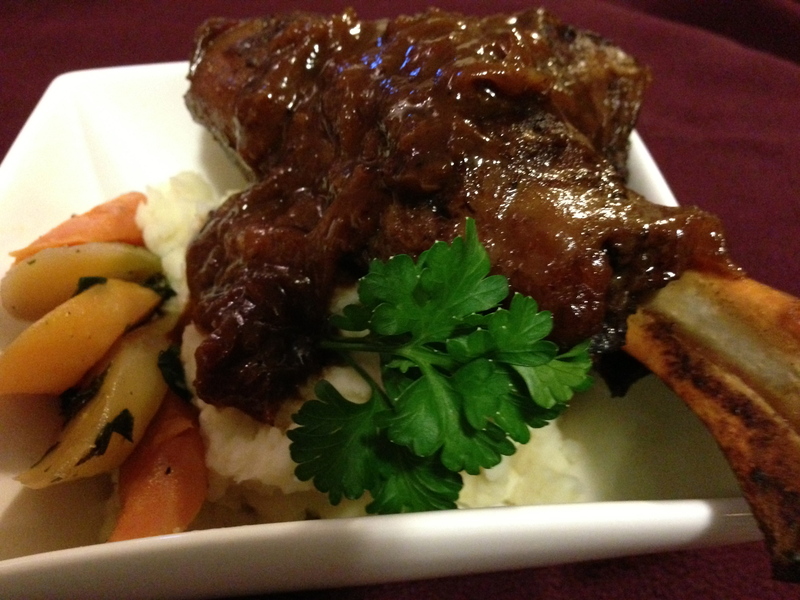 Cook lamb shanks for 10 to 12 minutes, turning occasionally, until browned on all sides. Remove lamb shanks to a large plate. Reduce heat to medium and add onion to fat remaining in pot. Cook, stirring often, for 4 to 6 minutes, until onion is golden brown. Add cinnamon and cook, stirring, for 30 seconds or until fragrant. Stir in stock, honey, garlic, Worcestershire sauce and bay leaves. Bring to a boil over high heat, stirring to scrape up any brown bits from bottom of pot. Return lamb shanks to pot, cover tightly and transfer to oven. Cook for about 1½ hours or until lamb is very tender, turning lamb shanks over halfway through cooking time. Remove lamb shanks to a warm plate, cover and keep warm. With a slotted spoon, remove garlic and set aside. Discard bay leaves. When garlic is cool enough to handle, squeeze garlic from skins and mash smoothly. Whisk garlic into cooking juices and bring to a boil over medium-high heat. Boil for 2 to 3 minutes, stirring occasionally, until juices have reduced and thickened slightly. Taste and add more salt and pepper if necessary. Place lamb shanks on 2 warm plates. Spoon cooking juices over shanks and sprinkle with parsley. However if you do not have weight issues using a mashed potato is also fine (although Cauliflower is higher in nutritional value).